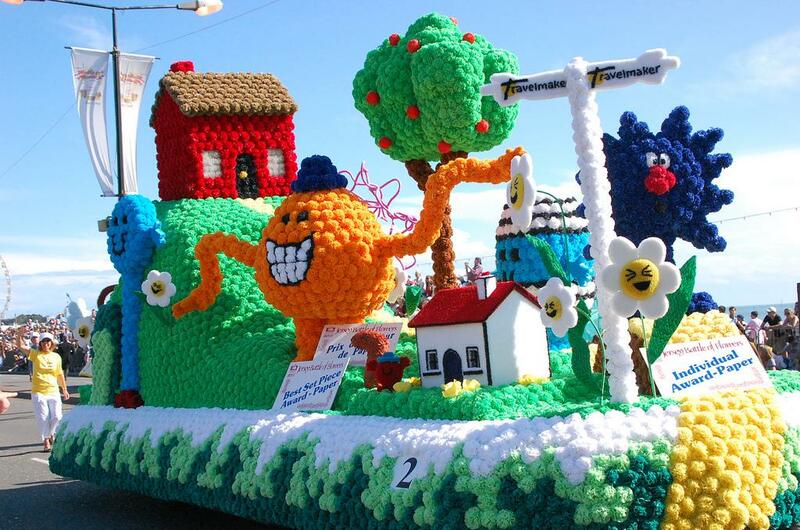 The Jersey Battle of Flowers, which takes place on 10th to 11th August, is one of Europe’s most spectacular floral festivals, with parades bringing an eclectic mix of floats, dancers and performers together. There are two parades, the first being on Thursday 10th commencing at 2.30pm and the Moonlight Parade on the 11th August at 9pm. 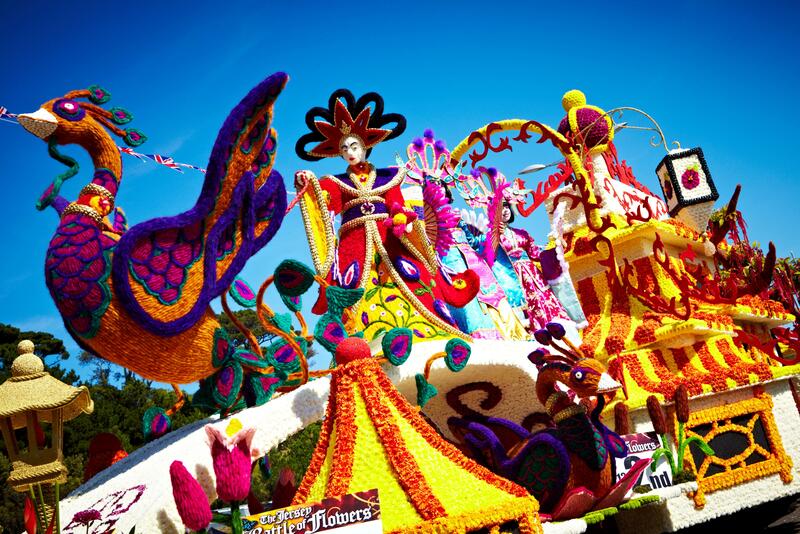 Both feature the same jaw-dropping floral floats, but the floats in the latter parade are fully illuminated. After the Moonlight parade a firework and night aircraft display will be taking place. 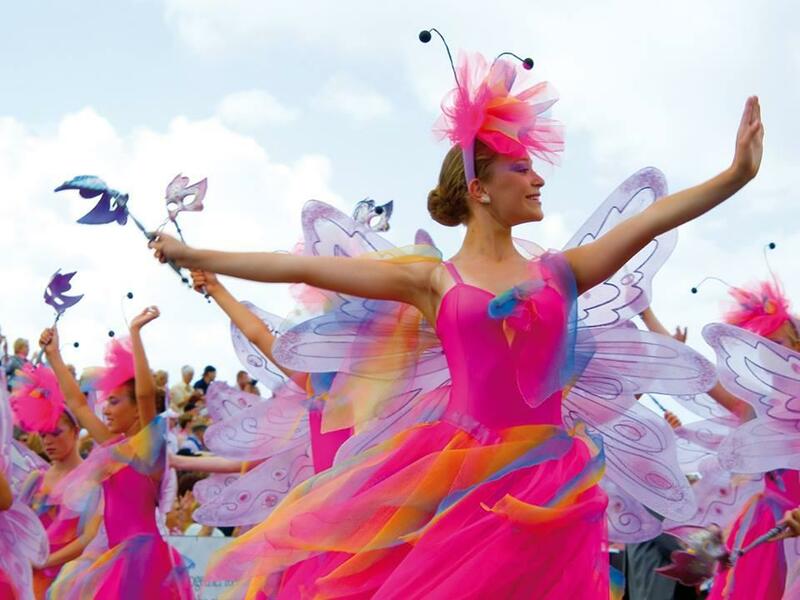 If you are considering a family holiday to Jersey and are looking at attending this world-famous festival, then there are a few things you need to consider ahead of your visit. Trying to book your accommodation and tickets for the parades separately is more time consuming than booking something in one go. With our Jersey Battle of Flowers package you don’t have to worry about each individual part of your trip as it is all done for you. The package offers visitors a seven-night stay on the island, B&B accommodation, return travel, seated tickets to both of the parades and a behind-the-scenes tour to give you an insight into what it takes to plan and organise such a huge event. By booking the package, visitors can experience all of this without any stress for just £483 per person. As you can imagine, this time of year is extremely busy anyway, but add the battle to that and it is one of Jersey’s busiest times of the year. Unsurprisingly, accommodation is usually booked quite quickly and therefore it is wise to book yours well in advance. The Battle of Flowers package is also extremely popular and it is wise to book the package well before the event starts. Booking a table for an early dinner ahead of the Moonlight Parade is a great way to relax before heading out to watch the incredible floral carnival. St Helier is close to the east end of the parade route and there are lots of incredible restaurants that you can eat at. If you are based at the west end of the parade route and are looking for an upmarket dining experience, then the Mark Jordan at the Beach restaurant offers this in abundance. The restaurant offers unrivalled views of St Aubin’s Harbour and the bay. The food itself is great, too, with the market menu changing weekly, so make sure you keep your eyes peeled to see what is on offer. Other alternatives for guests sitting at the west end of the parade include a meal at the Goose on the Green pub, which is renowned for its great food and varied menu. The pub is well-known for offering great value for money, and diners can enjoy aromatic food from the pub’s Josper oven, the first in the Channel Islands. If you decide to eat at any of the aforementioned restaurants it is important to pre-book your meal well in advance. Alex Flewitt, who runs the blog The Channel Island Girl says it is well worth getting to the parade early to avoid the entrance crowd and soak up the festival atmosphere from your pre-allocated stand seating. While our package deal ensures you have a seat in the stand for the parade, it is still highly recommended to get there early so you can sit back and relax before the parade begins. 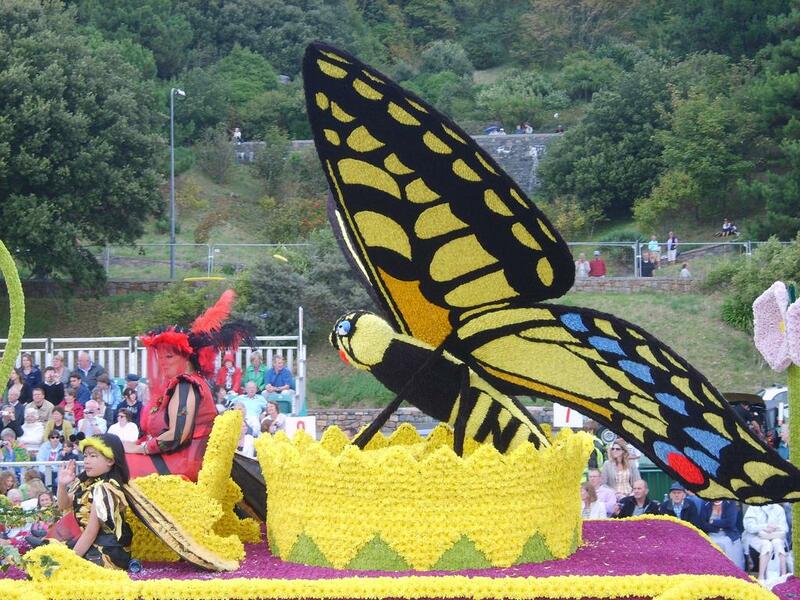 Organisers at the Jersey Battle of Flowers Festival recommend getting a seat for the parades. The best way to remember an incredible day is to take lots of photographs to help re-jog your memory years later and to show your family and friends after you come home. 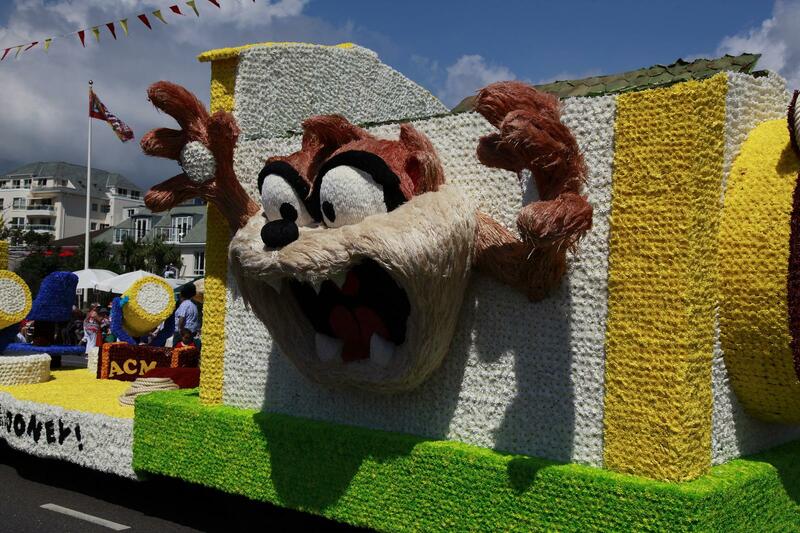 The floats look absolutely incredible during the parades, but they don’t just come together like that. It can take weeks or months to put the floats together and a great way to get a behind the scenes look at the floats is by going on a shed tour. This year’s funfair will run between Friday 28th July to Sunday 13th August and will open daily from 2pm and close at 11pm at the People’s Park. 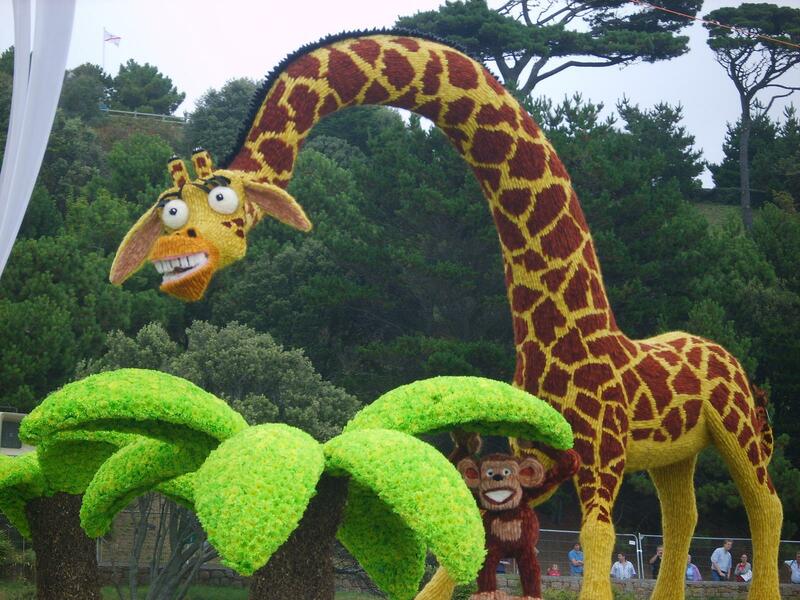 This entry was posted in Jersey News and tagged Battle of Flowers, Jersey. Bookmark the permalink.